or Contact us for the dealer nearest you. 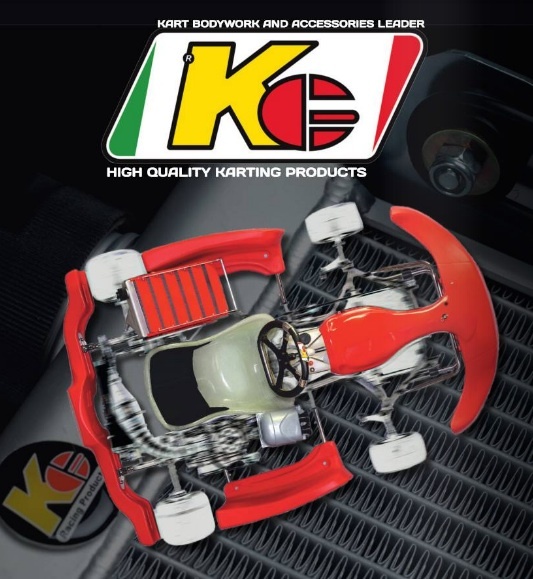 Since 1978 KG have been the market leader in the production of steering wheels, bodywork and accessorises for karts. KG directly manage the entire production process (design and planning, model creation and production) and the warehouses. They are therefore able to monitor each phase of product development and, at the same time, carry out standard and personalised production. KG make use of the most advanced technology but also consider the experience and abilities of their personnel as an indispensable factor of the production process. They exclusively use top quality materials and carefully control supplies right down to the last detail. Each product is checked individually by our specialised technicians. KG STEERING WHEELS are produced with lightweight yet exceptionally strong and durable materials. TIG welding gives them rigid strength for a precision performance. KG offers a variety of colour combinations to choose from and each cover is hand sewn to ensure optimal grip for the demanding driver. KG BODYWORK AND TANKS are made with an equipment "air blowing method". Each part is then verified and perfected by our technicians to guarantee that every piece meets KG's rigorous standards of quality and performance. THE WATCHWORD AT KG is effective service. KG are proud to respond quickly to customer orders with prompt and accurate service. Through effective organization and supervision of production lines, KG is able to produce standard and cutom products as well as accessories and spare parts all at the same time. KG are proud of their product line and are consistantly researching new items and improvements to offer our customers. We at REMO RACING are very confident in KG's quality of production.